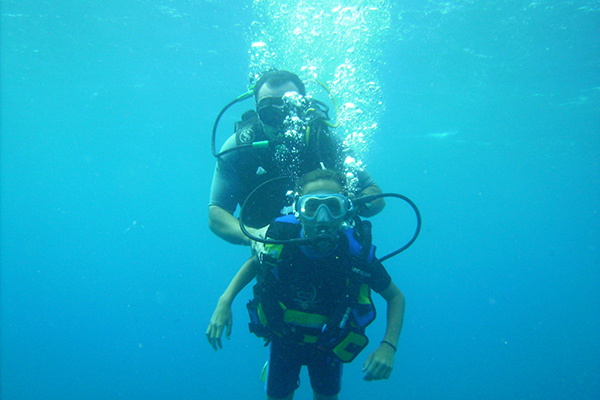 Discover scuba diving with this quick and easy introduction to the underwater world. 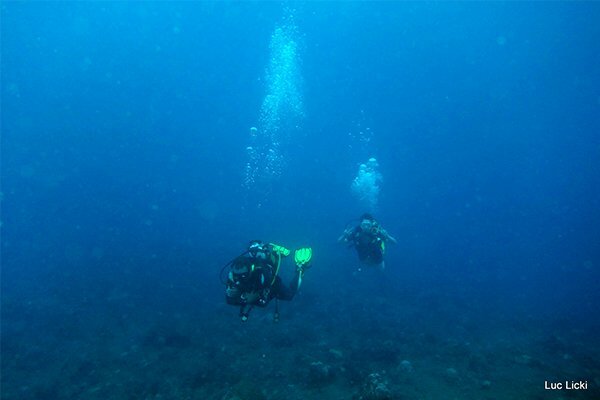 Equipped with all the scuba gear you’ll need and accompanied by a qualified instructor, you will explore the coral reefs and observe an array of colourful fish in shallow water (2 to 6 metres) during 30 minutes. ... You’ll even be issued with a certificate as a keepsake! During your Discover Scuba Diving experience you will learn how to use dive equipment in shallow water and discover during a quick and easy introduction what it takes to explore the underwater world. 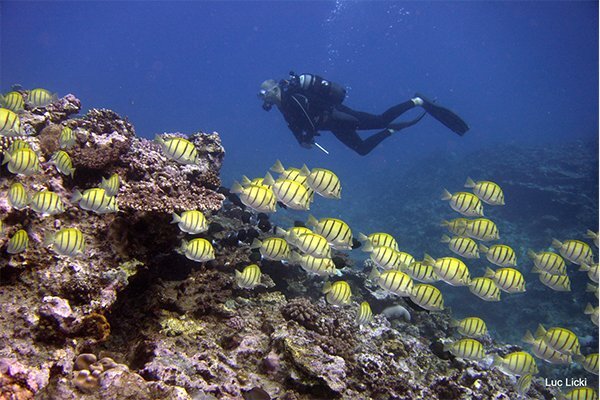 Whether you’re a novice or experienced diver there’s something for everyone. 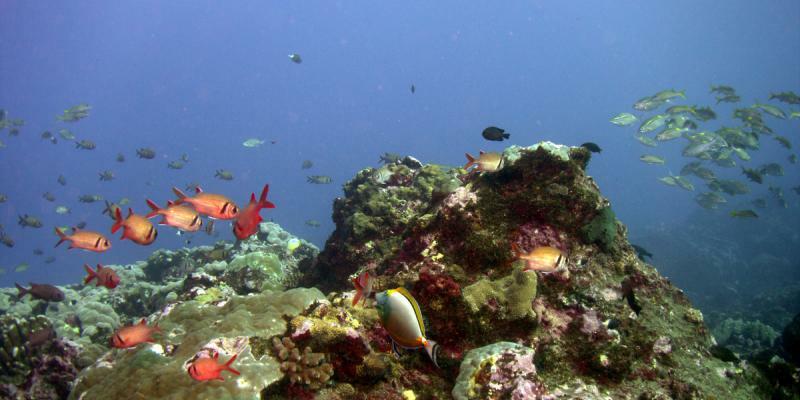 Dive on the outer slopes of the coral reef, where from 3 to 25 metres you can admire all kinds of corals, sponges (including yellow sponges, unique to Saint-Leu), and gullies that run through ancient lava flows; observe a multitude of tropical fish and large numbers of molluscs as well as rays and turtles. 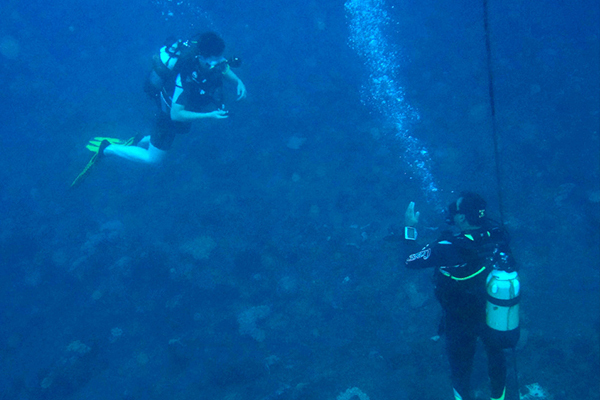 If you’re experienced you can also dive deep dives, drop offs, and wrecks. In that case you’re likely to come across pelagic marine life (tunas, trevallies, barracudas, hammerhead sharks, rays, etc.) - what’s 'on show' changes from one day to the next! If you have the necessary certification, remember to ask for Nitrox. 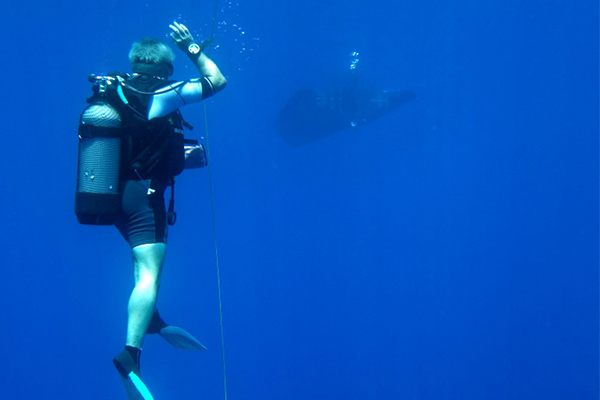 If you’re experienced you can dive deep dives, drop offs and wrecks. In that case you’re likely to come across pelagic marine life (tunas, trevallies, barracudas, hammerhead sharks, rays, etc.) - what’s 'on show' changes from one day to the next! 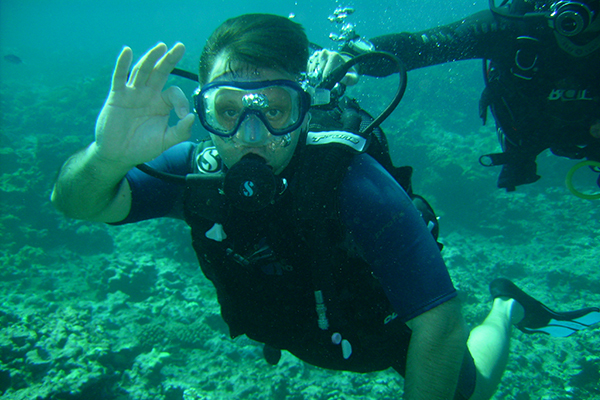 For divers who have their own equipment and don’t need a guide; however a dive computer per person and SMB (safety sausage) per group are compulsory. If you don’t have either or both of these they are available to rent. Each diver has two tanks, and dives once at two different sites. 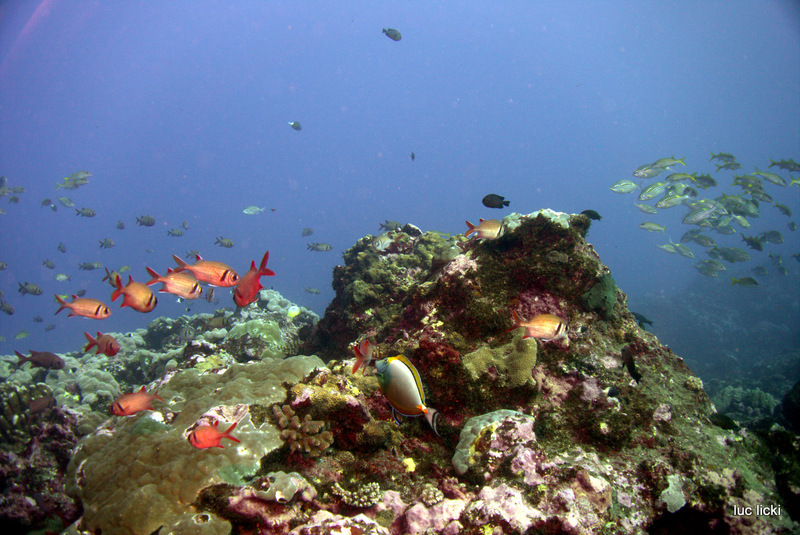 This allows divers to do two dives and still make the most of the afternoon to enjoy everything Reunion has to offer. 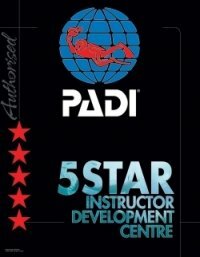 If you don’t have your own dive gear or prefer to be guided, we can rent you recent equipment in good condition and ensure you are supervised by an instructor. 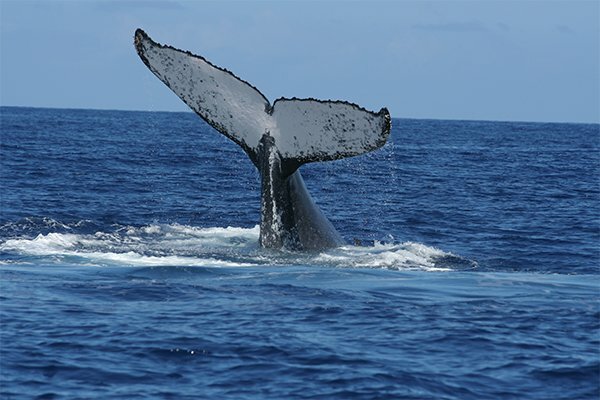 Join us for a half-day trip as we head out to meet humpbacks in their natural environment. These whales visit the warm waters of the Indian Ocean during the winter months of the southern hemisphere (only available in season). Participants must know how to swim with fins, mask and snorkel. If safety conditions are met, those who wish to can get into the water and swim with the whales. Nitrox is a gas mixture different to what you usually breathe when diving; it is air enriched with higher oxygen content. At shallow depths (less than 40 metres) it gives you more no-decompression bottom time, or, for the same bottom time, allows you to have a reduced nitrogen load, and thus be safer and less tired. 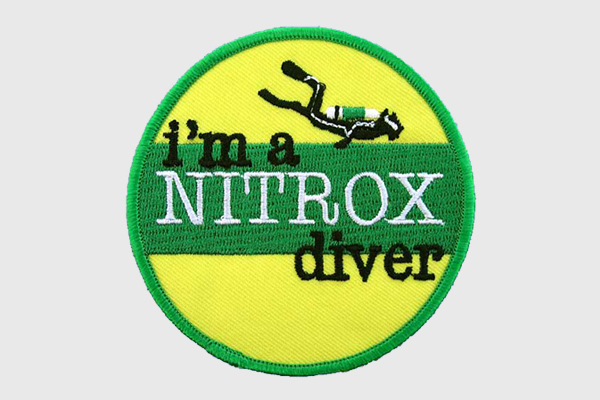 Diving with Nitrox has many benefits and requires specific training. 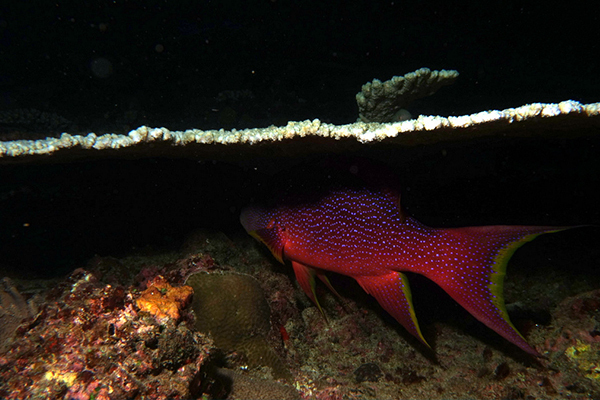 From October to March, during our night dives you can see crustaceans who only come out of hiding once the sun sets: lobsters, slipper lobsters, mantis shrimps, crabs, and a wide variety of nudibranchs such as the colourful Spanish dancer.